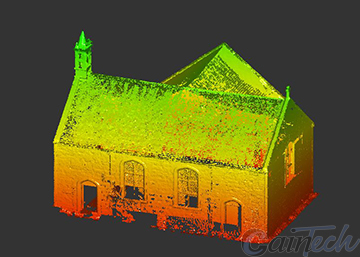 3D Laser Scanning is a form of High Definition Surveying which is growing in popularity as a fast, reliable and non-intrusive means of capturing 3D data. 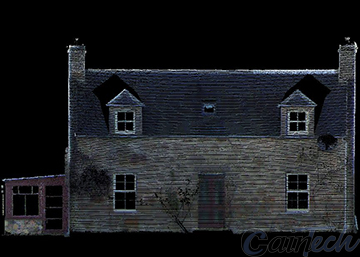 With the use of laser scanning, vast amounts of data can be collected in a much shorter space of time than if conventional survey techniques were to be utilised. 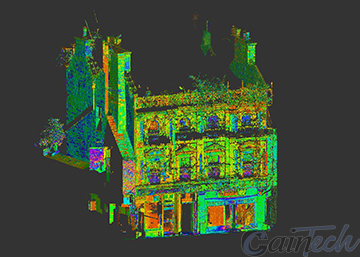 The dataset produced by laser scanning is in the form of a 3D point cloud – a collection of accurately co-ordinated points in a 3D environment. This can be interrogated and manipulated using a variety of software packages in order to produce everything from 2D CAD drawings to 3D models and animated fly-throughs. When used in conjunction with our UAV system, we can merge laser scan and UAV point cloud information with seamless integration of datasets. With this capability, a complete and accurate 3D point cloud of any site can be constructed, providing invaluable information to assist with visualisation and detailed design, etc.